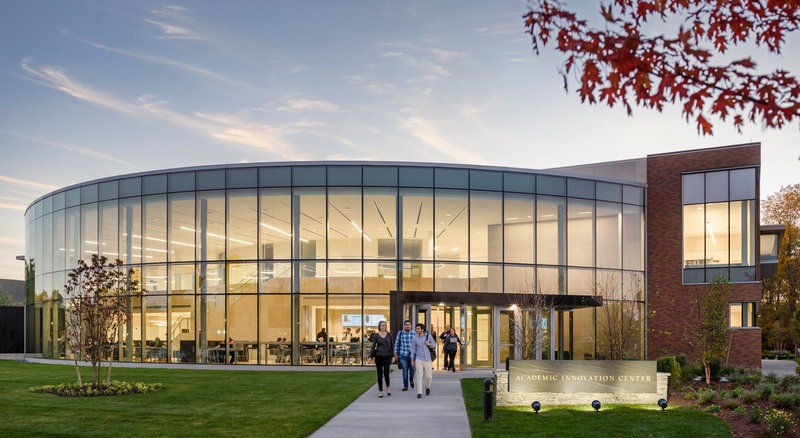 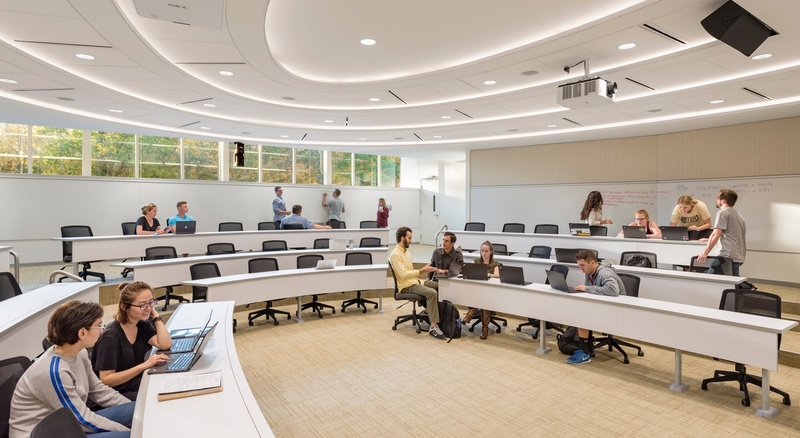 Bryant University selected BOND to provide preconstruction and construction management services for its new Academic Innovation Center (AIC). 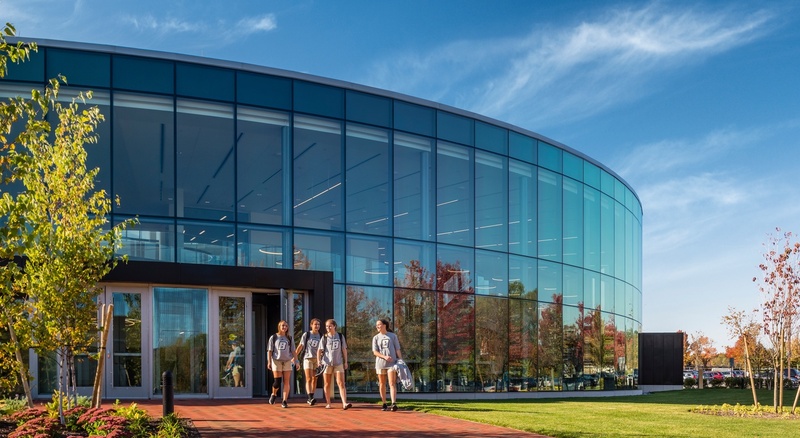 This transformative learning facility serves as a welcoming focal point for the Smithfield, RI University. 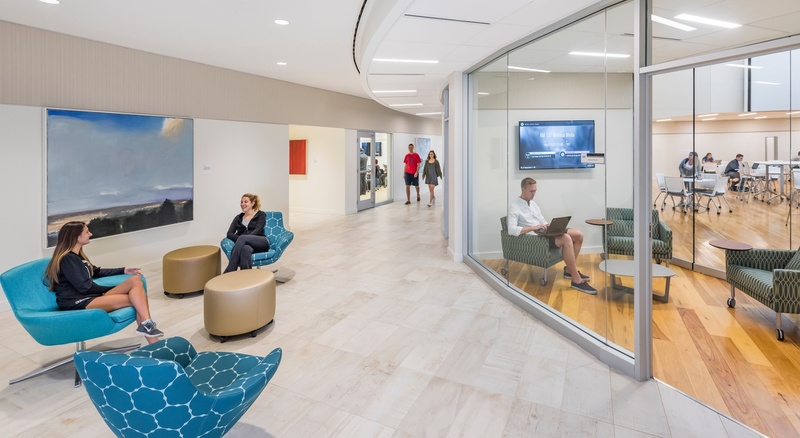 It’s the flagship project for the Bryant Builds Program, the largest facility initiative since Bryant’s move from Providence to Smithfield 45 years ago. 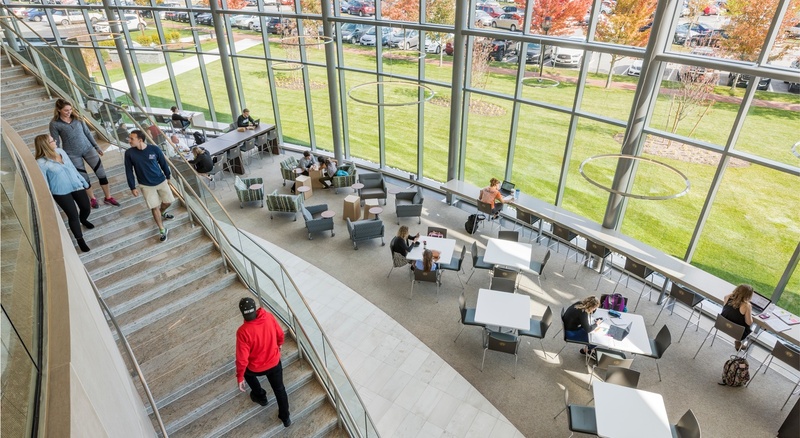 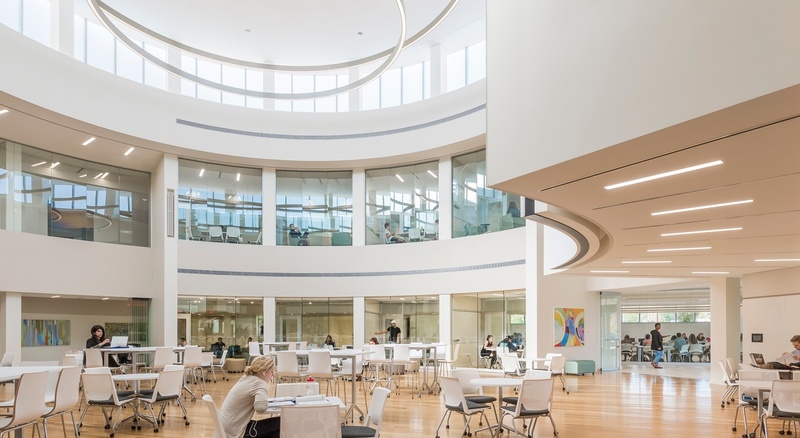 The AIC is a two-story, 48,290 SF facility which includes an innovation forum, faculty space, break-out rooms, admissions center and cross-functional classrooms for students in the College of Business and College of Arts and Sciences. 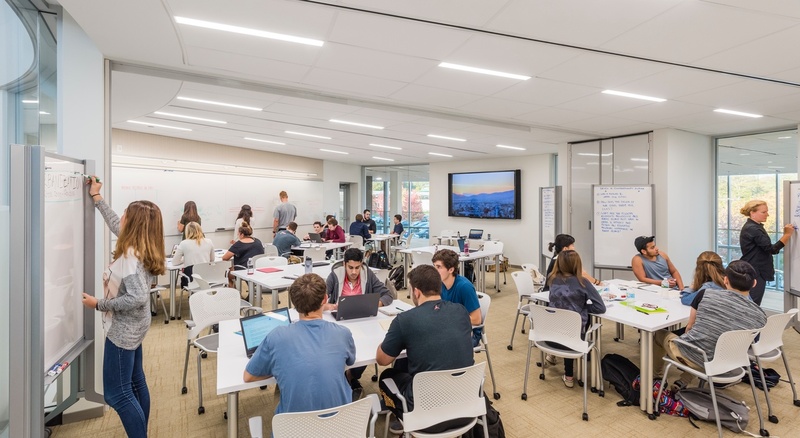 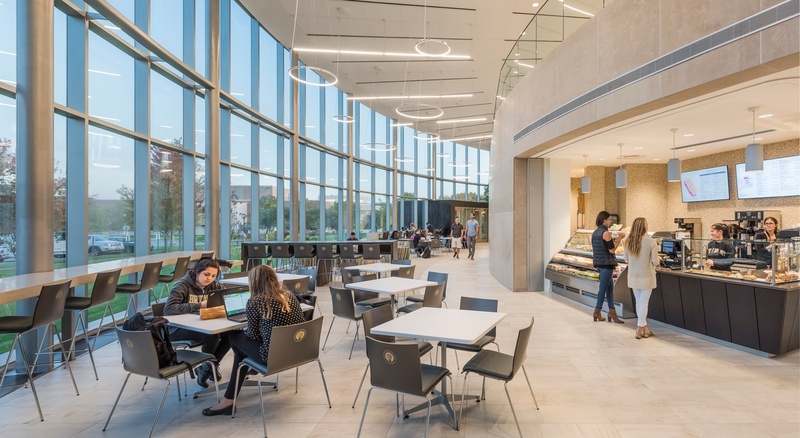 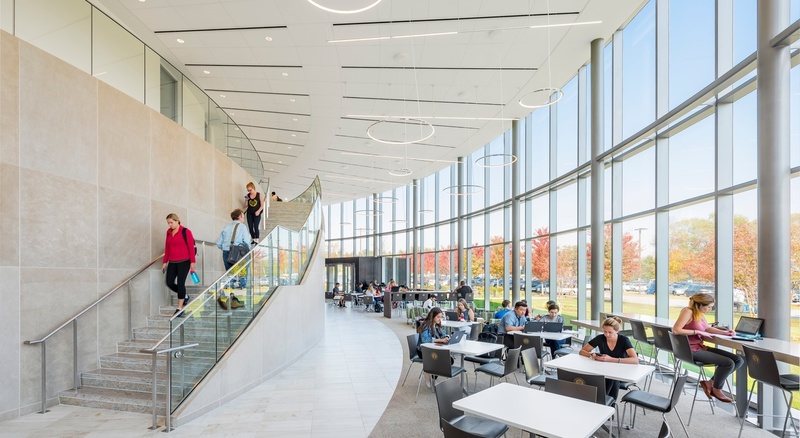 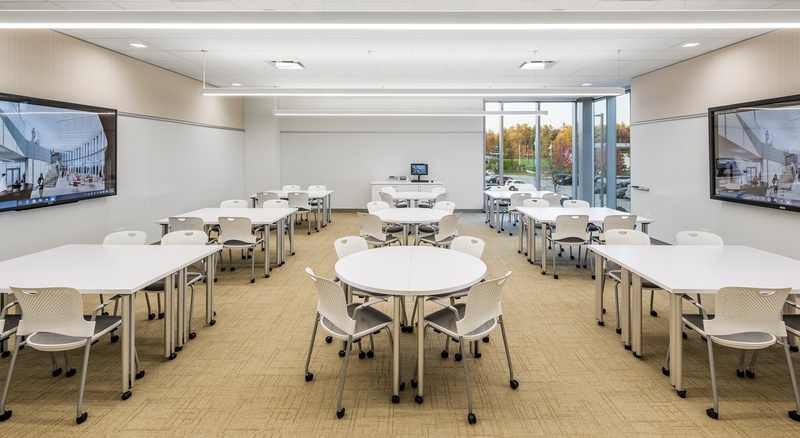 The building is designed to offer unprecedented flexibility, with moveable tables, smart technology and light-filled collaborative spaces that promote experiential teaching and new learning modules.